We all love a good thunderstorm here at Infinity Farm. This spring is dry and I’m remembering a great storm last year. When the rain stopped, my two younger horses rolled and ran, ran and rolled- it’s hard to have more fun than mud. 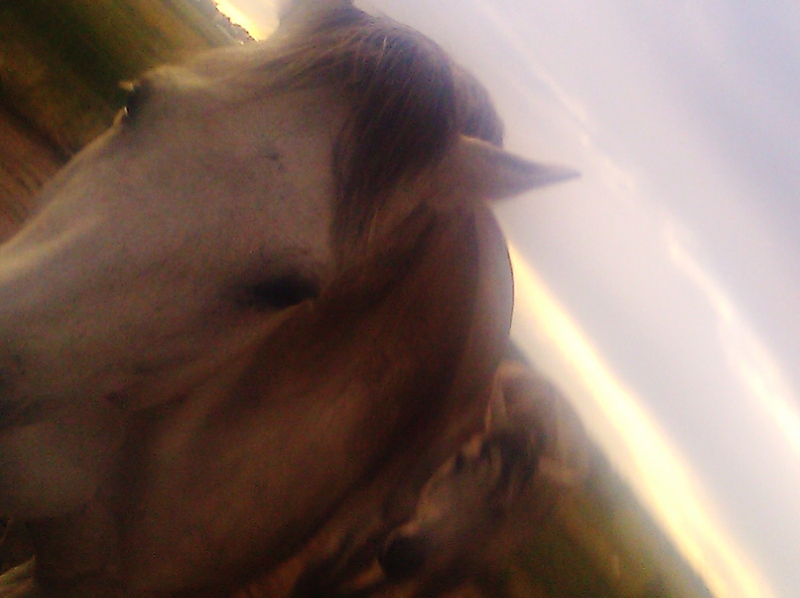 Exhausted and unfocused, two wet horses wander back to me at dusk. ← Do you think it’s time to clean the truck? Aw. Smile. Nice image. The sky is electric.